130. 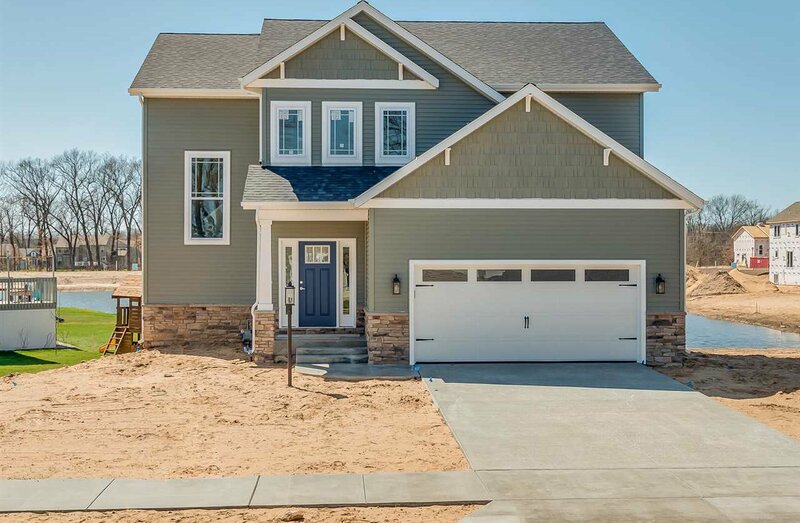 This beautiful new construction home is now being built by Devine Homes by Miller. It is located in the Penn School System and offers over 2300 square feet of finished living space - 4 bedrooms and 2.5 bathrooms. The main level features a 2-story foyer, wood laminate flooring and 9-foot walls, making the Great Room and Kitchen open and inviting. The kitchen features granite countertops, white cabinetry, stainless appliances, oversized center island, a dining area, walk-in pantry, and a nearby half bath. Upstairs, the Master Suite includes a walk-in closet and bath with double sinks and a tile shower. The three additional bedrooms have access to a full bath with ceramic tile and a separate toilet and tub/shower. The laundry room is conveniently located upstairs with the bedrooms. Full basement includes daylight lookout windows overlooking the pond. Stage of completion 12-21-17: framed and rough mechanicals. Estimated completion March 2018.